We have designed the trendy Courier diaper bag for all parents who require added space. Its practical opening mechanism makes the diaper bag easy to fill. The additional pockets inside the bag offer sufficient space for your items. It also includes a soft diaper-changing mat and a hook for your baby's dummy. 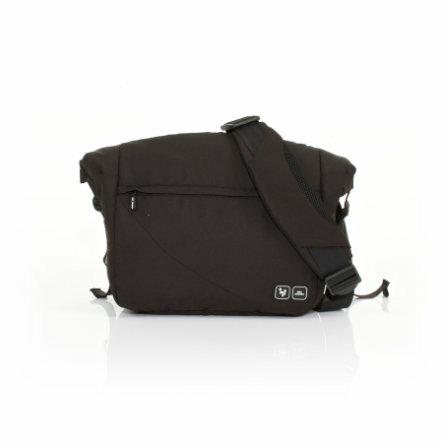 The soft cushioned and adjustable shoulder strap ensures the bag is comfortable to carry. The diaper bag also has an extra front pocket with zip that provides additional stowage space.